Tahoe Donner is one of America’s largest homeowner’s associations, with nearly 6,500 properties and 25,000 members enjoying over 7,000 acres in the Sierra Nevada mountains. Tahoe Donner is an eclectic community with a passion for outdoor recreation and a celebration of the Tahoe lifestyle. Located 15 minutes from Lake Tahoe in Truckee, California, Tahoe Donner operates a wide variety of recreational facilities – some which are for members only and others which are also open to the general public. 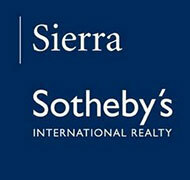 For additional information on Tahoe Donner Homeowner’s Association click here.